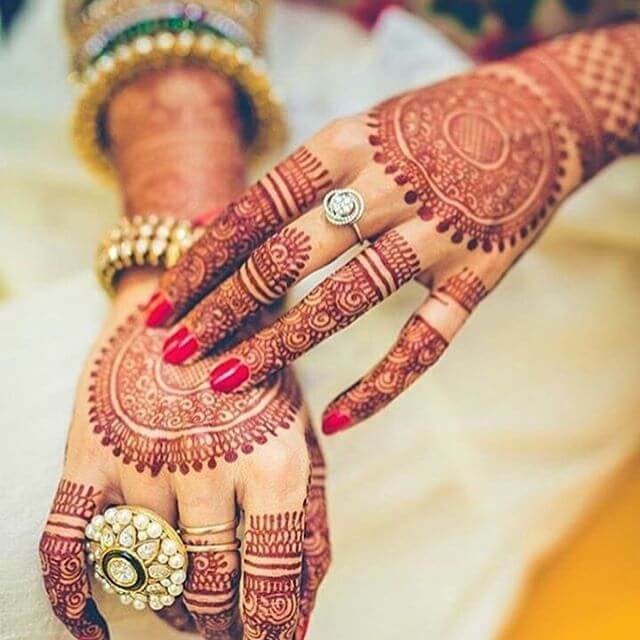 mehndi is an art and has been the part of fashion trend for years. 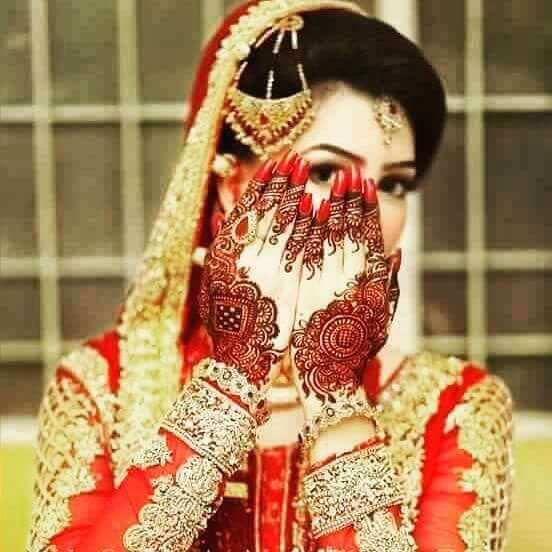 Girls love to wear it on every occasion. 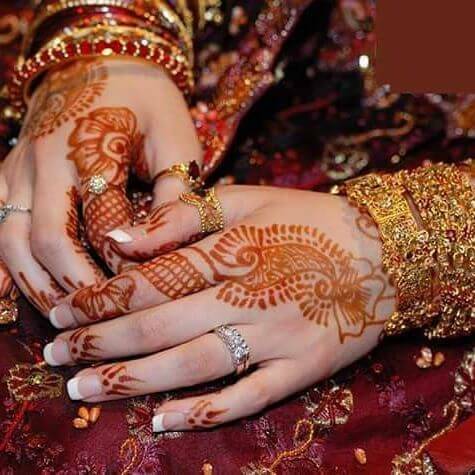 Women particularly young girls always search for latest and best mehndi designs of the year. 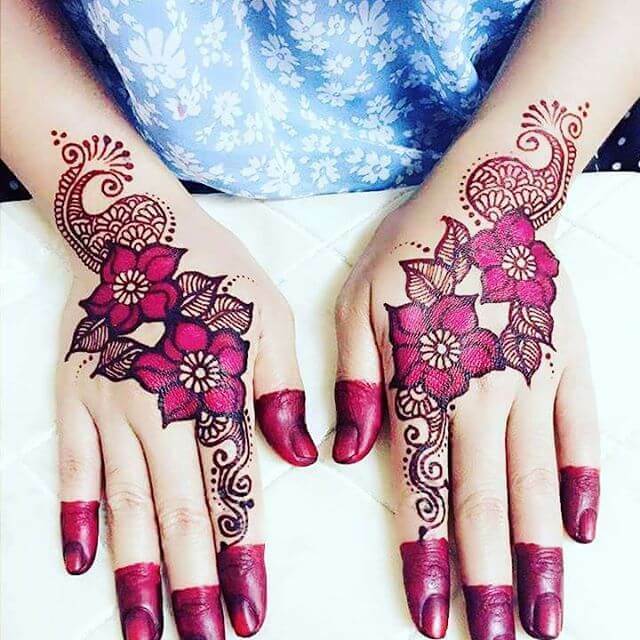 It imparts an excitement and its appealing for girls to draw various mehndi designs and patterns on hands, feet and other parts of the body, especially on neck back. 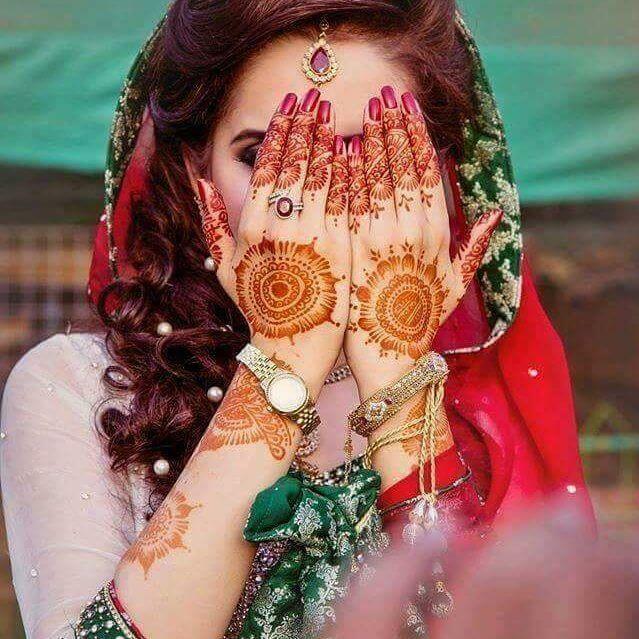 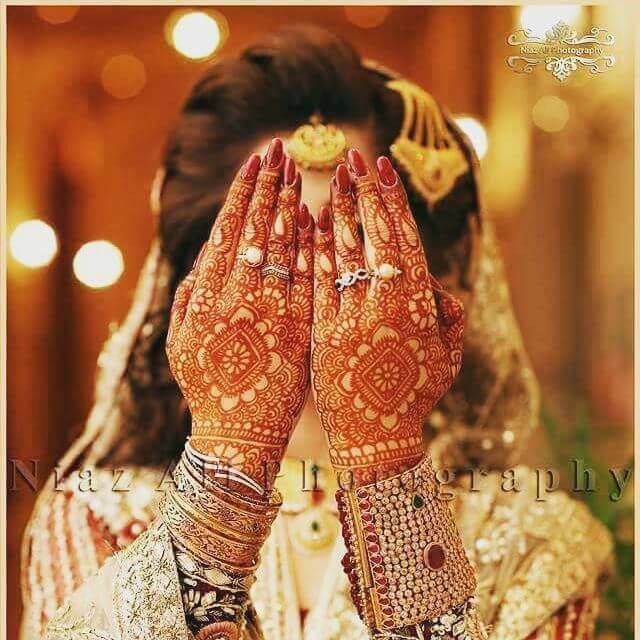 The mehndi trend is admired and promoted mostly in the subcontinent like India, Pakistan and Bangladesh. 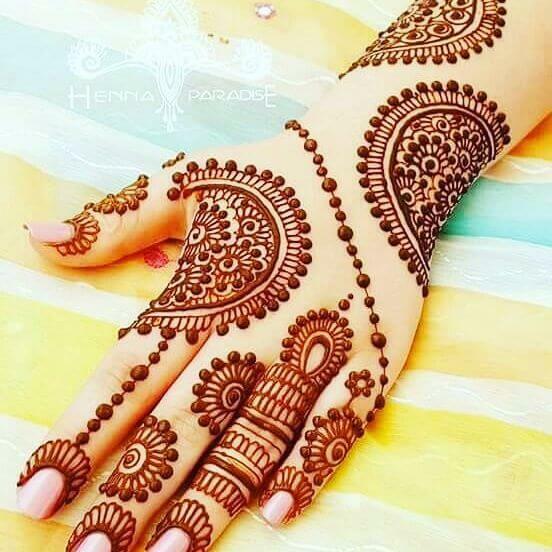 They are keen to learn new, simple and best mehndi designs. 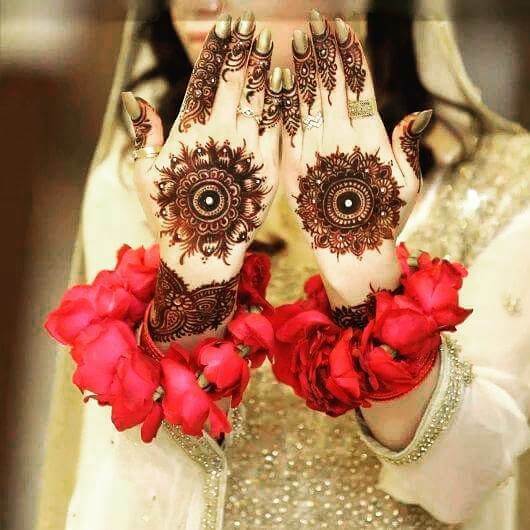 Mehndi is an art that is very much in demand these days. 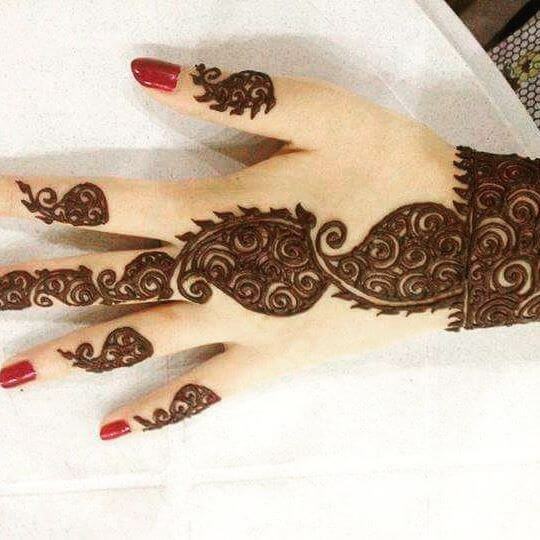 The experts get desired amounts from their customers who want to have flawless and perfect designs on their hands. 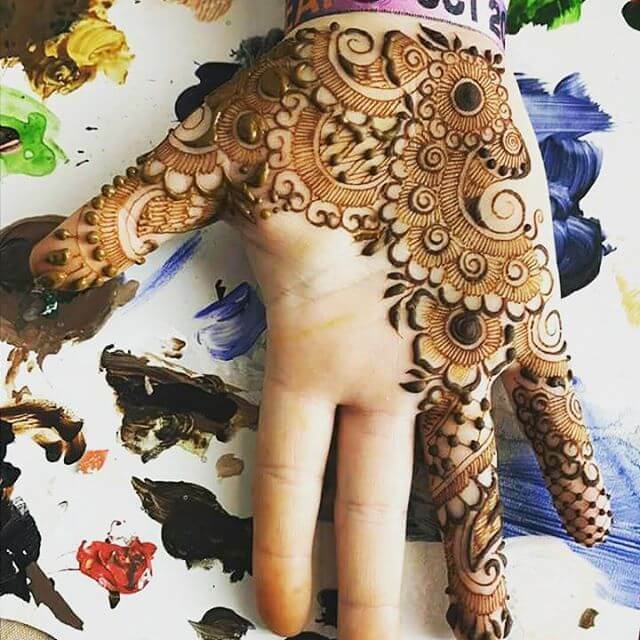 However, it requires a lot of practice to master this skill. 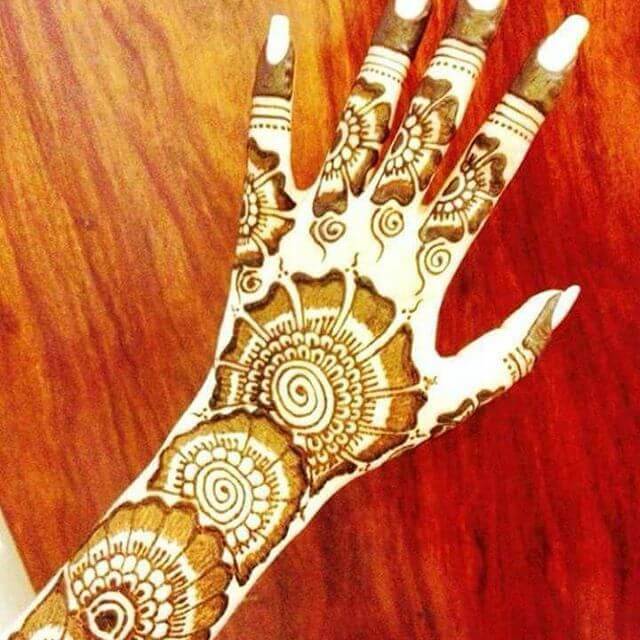 Check out the designs, these are latest yet extremely simple to apply even on your own. 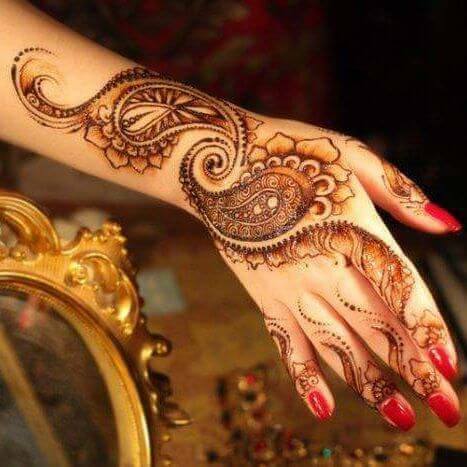 The mehndi patterns are for informal and causal routines are generally simple. 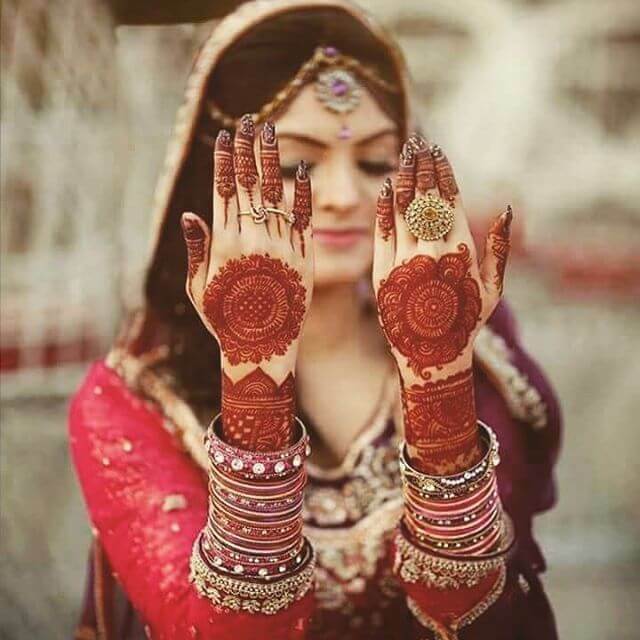 It is not only for outer sides of hands, it can also be applied on the inner side. 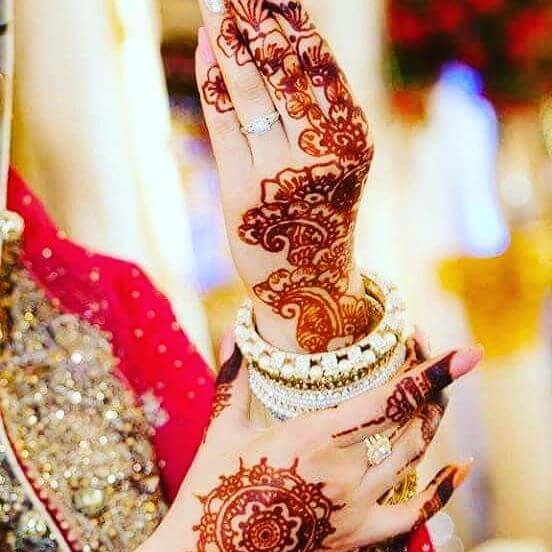 The first step is to apply lines along with comma flower. 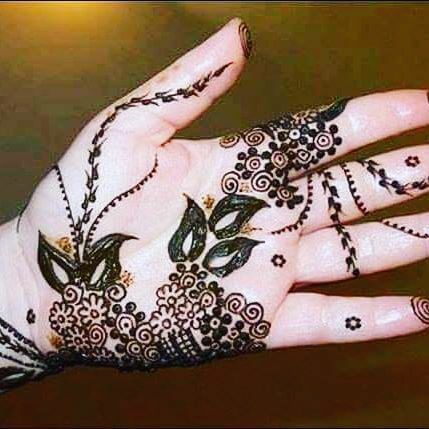 Further a wide flower is applied and the design is led by black dots. 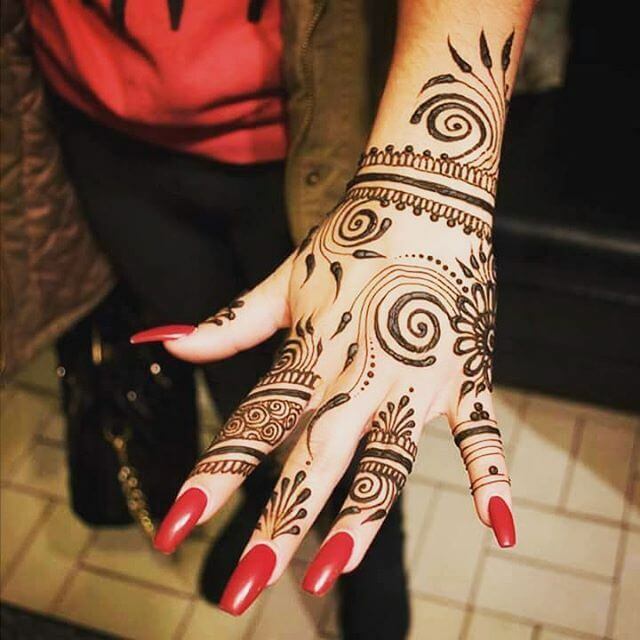 Then around circle pattern is drawn in the middle of the hand it looks traditional but awesome. 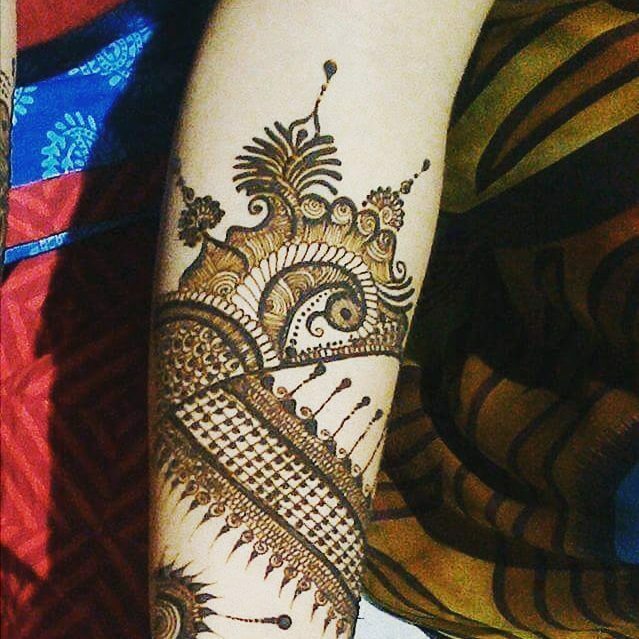 This design can be carried with the half sleeves semi-formal shirt. 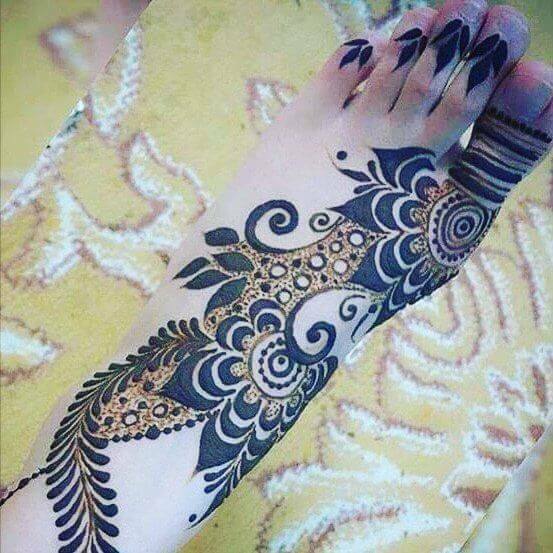 This is considered as the top favorite design of Mehndi. 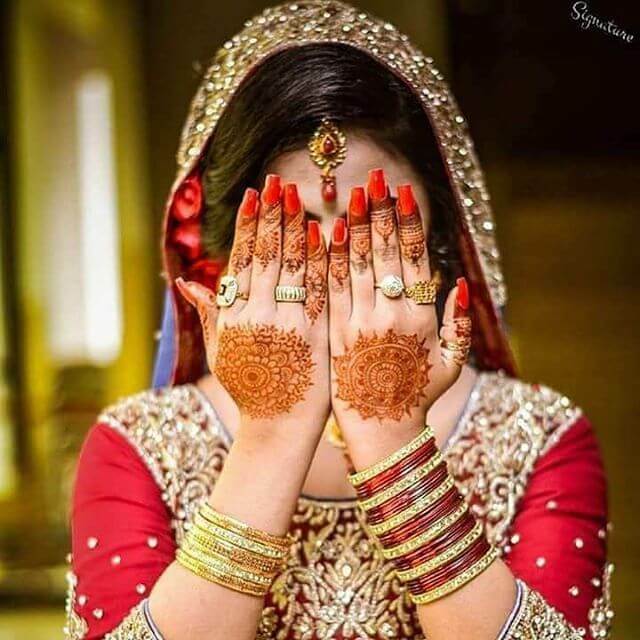 At earlier days, ubttan mix with turmeric was applied to women or men palms on different festivals even on wedding events. 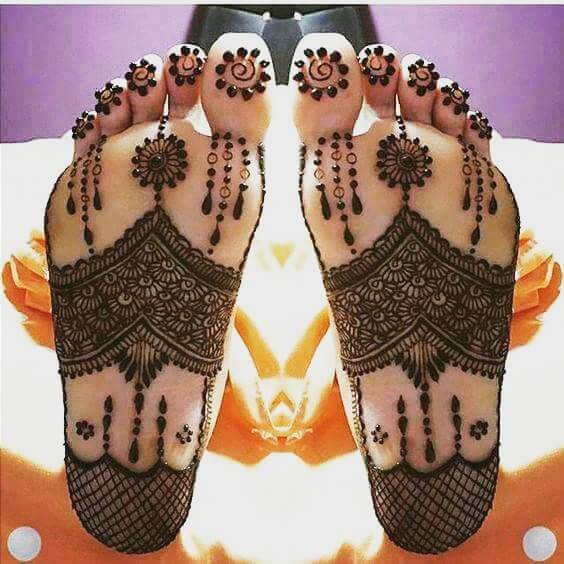 Now, women have learned techniques to draw that on their hands, feet and other parts of the body. 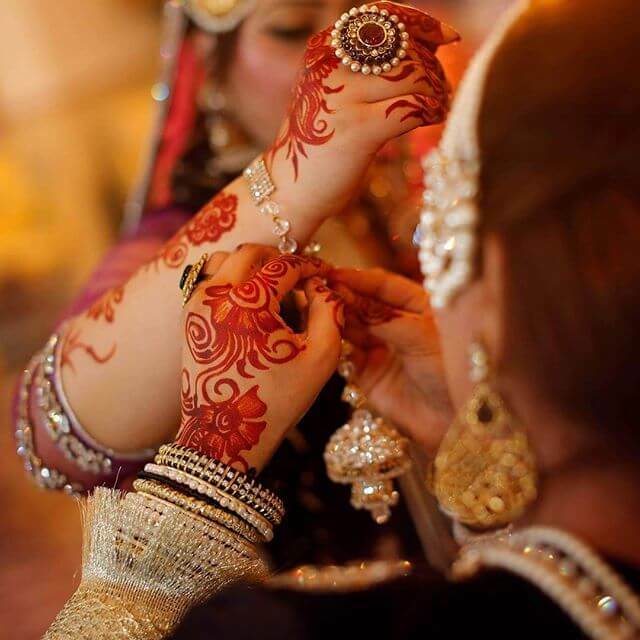 Initially, the concept of mehndi started in Indian regions and then adopted by Pakistani women as a fashion. 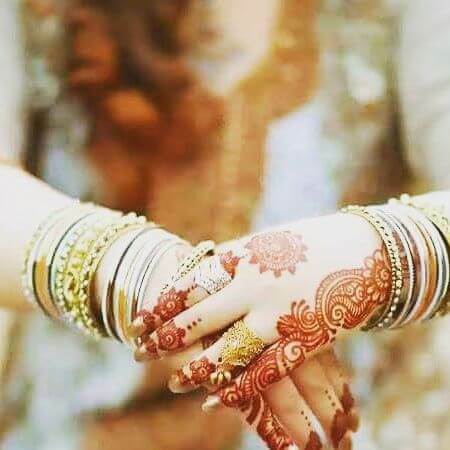 Now it has become an important element in Muslim festivals such as Eid-Ul-Azha and Eid-Ul-Fit because it shows that the festivals are being celebrated with full hearts and enthusiasm with mutual harmony. 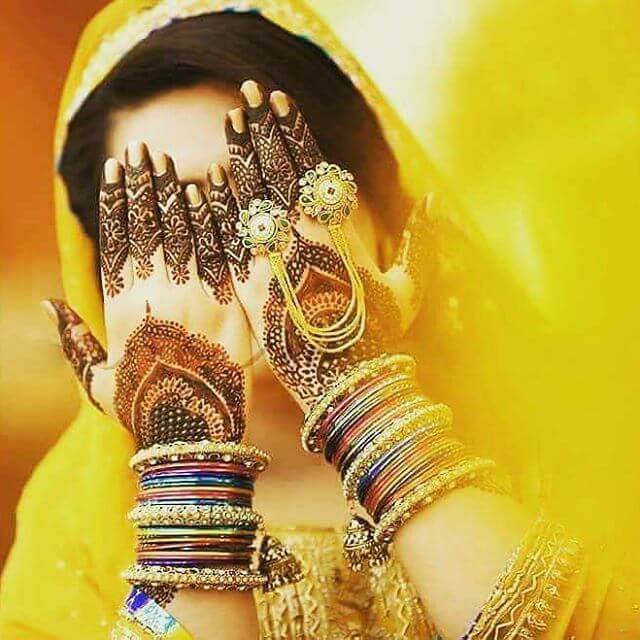 Special mehndi stalls are arranged nowadays from distant places. 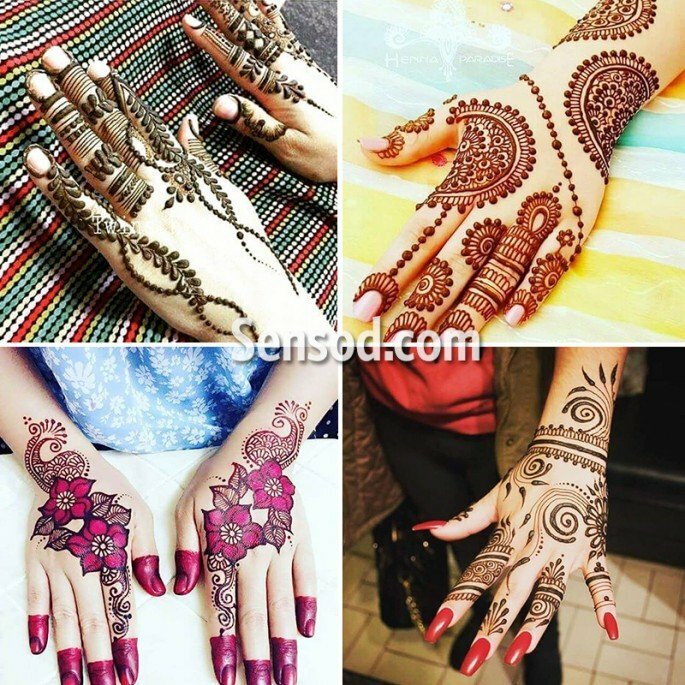 The article is designed to provide a mehndi design book that contains the best mehndi designs collection. 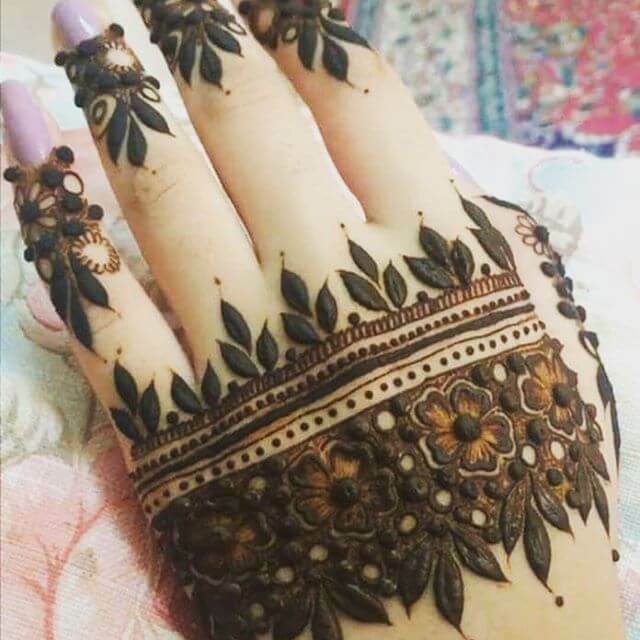 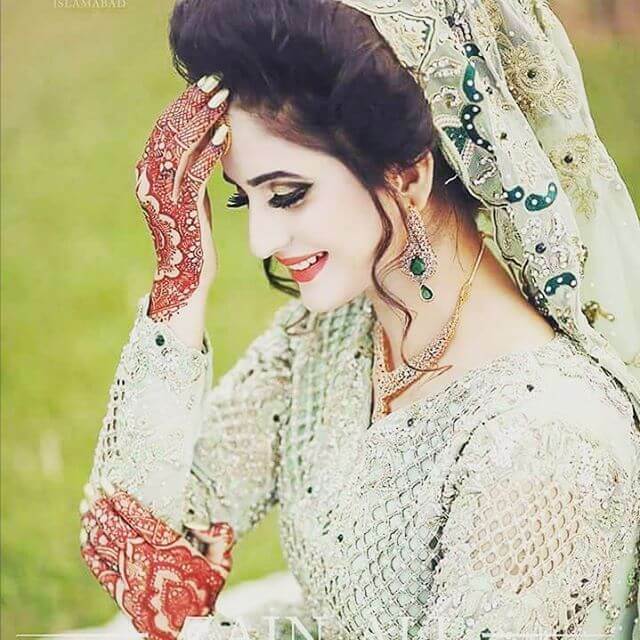 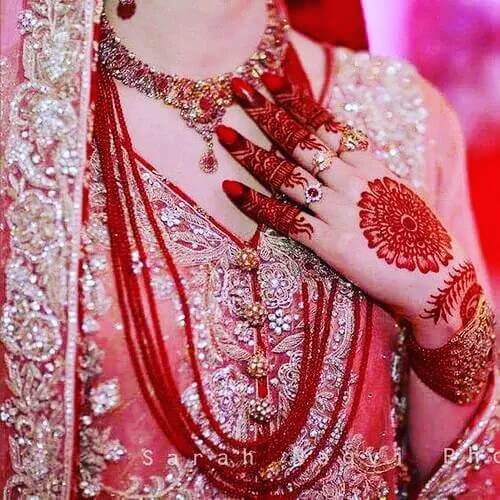 I have collected some of the latest mehndi designs 2018, those might be complex and intricate but these are value your time to spend on such fabulous designs. 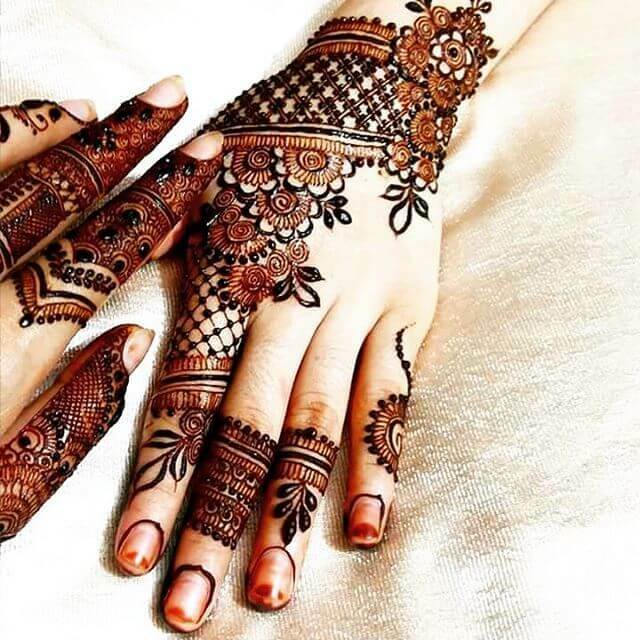 These designs are very beautiful and these are my favorite too. 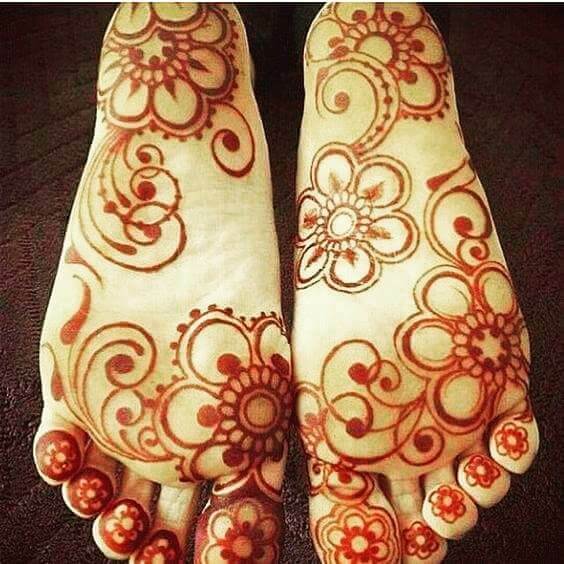 The best form of skin decoration is to adorn the hands and feet with such marvelous henna art. 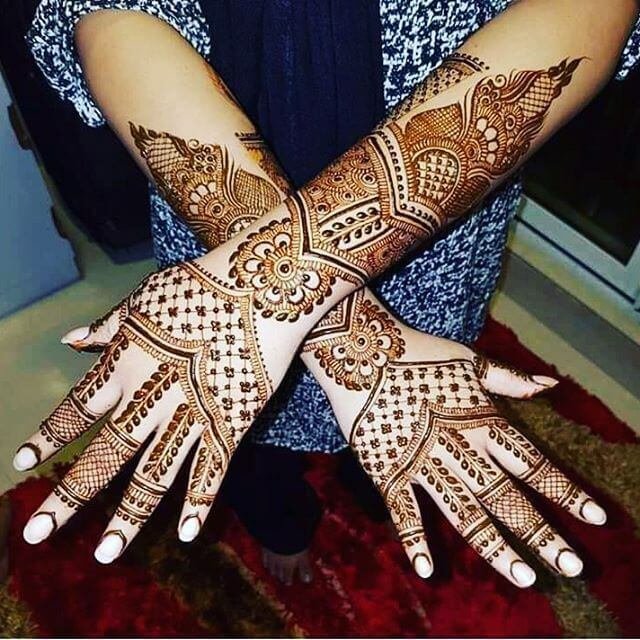 The following new mehandi designs are inspired by the Arabic Essense. 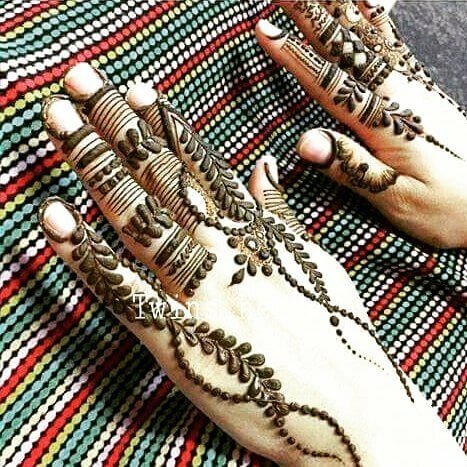 All designs flaunt a perfect combination of traditional and modern look. 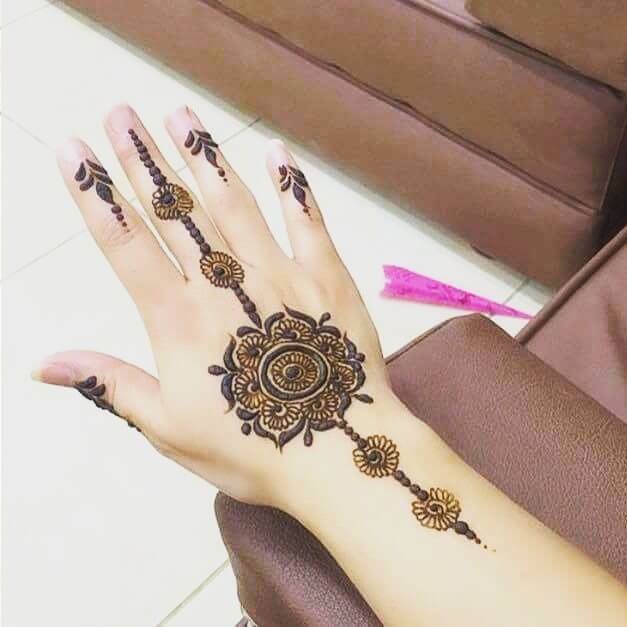 it might not be easy to apply for the beginners but it definitely looks adorable once a professional complete it. 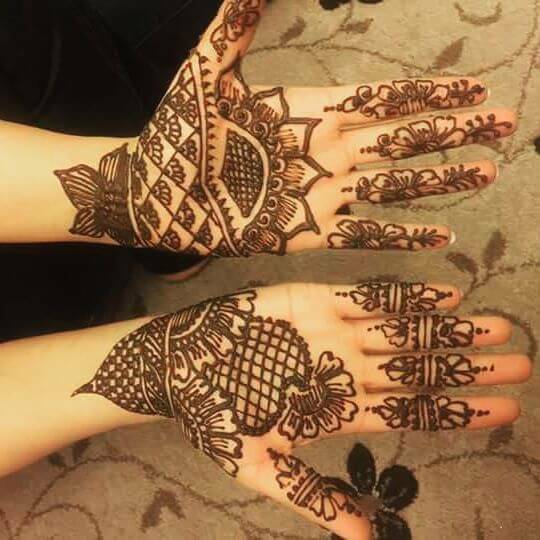 Gorgeous flowers and leaflets patterns are applied on the hand palm and the surroundings are covered with the sharp filling and shaded pattern. 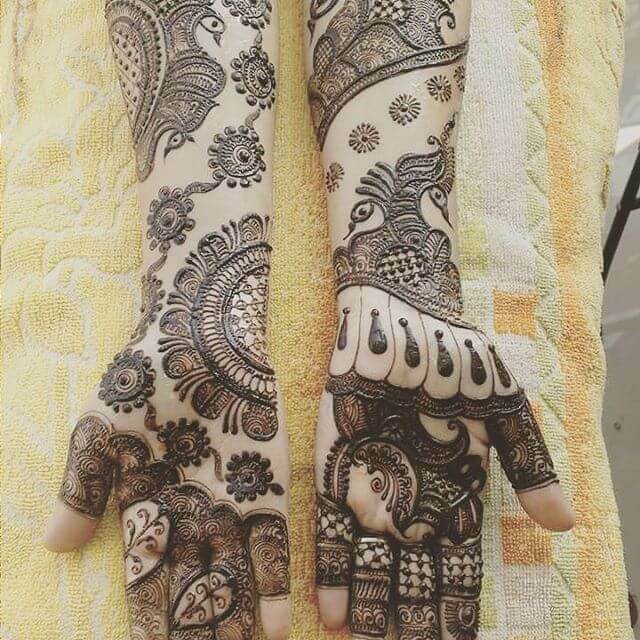 These designs look like a very complex and extensive too. 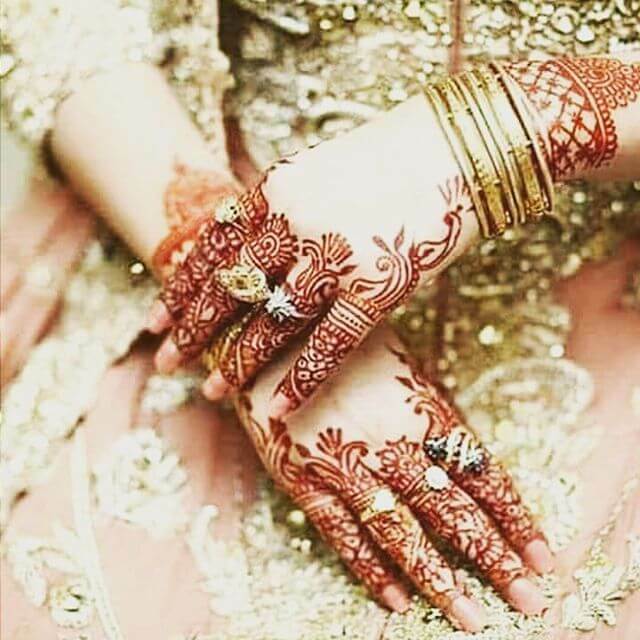 Just look at these stylish mehndi designs that will surely make you feel that they truly deserve your one try. 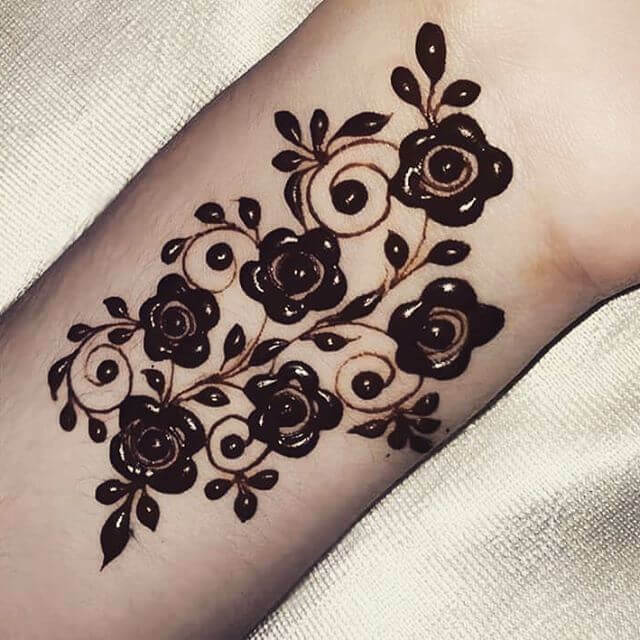 The floral tattoo pattern is very simple as well as very attractive for the young girls. 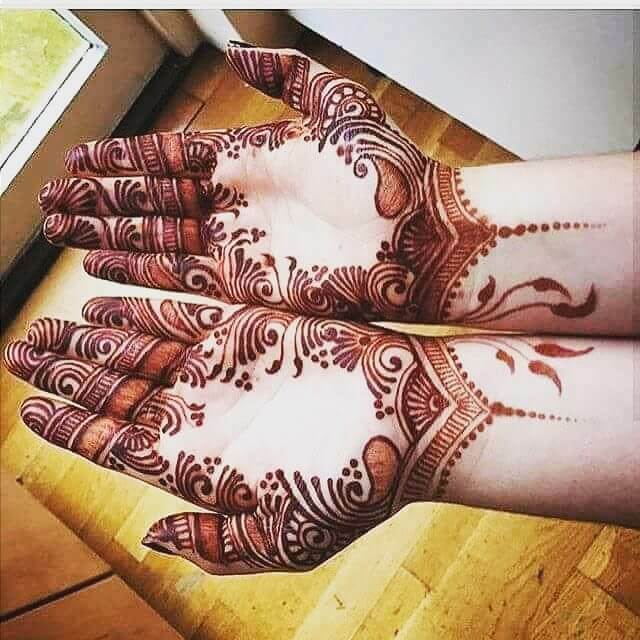 Innermost flowers are the first most step to be drawn in the middle of the hand and then the whole design is created by repeating it again from hand to upside the wrist. 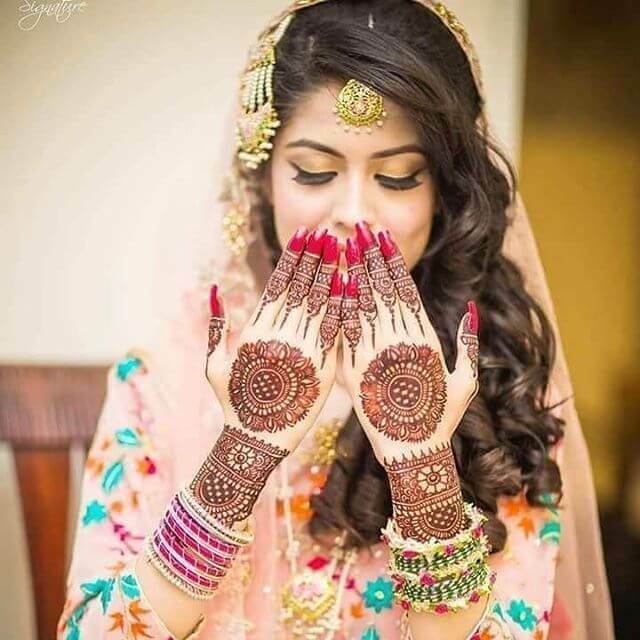 It will make a wide network of floral and flowers pattern onward.